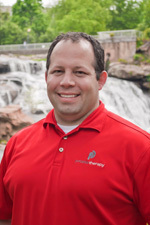 In this episode, Erik sits down with Chuck Thigpen, PhD, PT, ATC, a clinical research scientist with Proaxis Therapy in Greenville, SC. He is also the current Research Chair for the Sports Physical therapy Section of the American Physical Therapy Association and serving on the writing panel for the American Academy of Orthopedic Surgeons Appropriate Use Criteria for the treatment of rotator cuff tears. Chuck has published clinical trials examining the treatment of shoulder and knee pain as well as the injuries in the pitching shoulder. He has a great understanding of the simplicity and complexity of the scientific process.